Pups are ready to go to approved homes so don’t miss out! We have KUSA Registered Rottweiler Female pups for sale from our top dogs. The pups are from Serbian import, world champion bloodlines. Both dam and sire available for viewing. 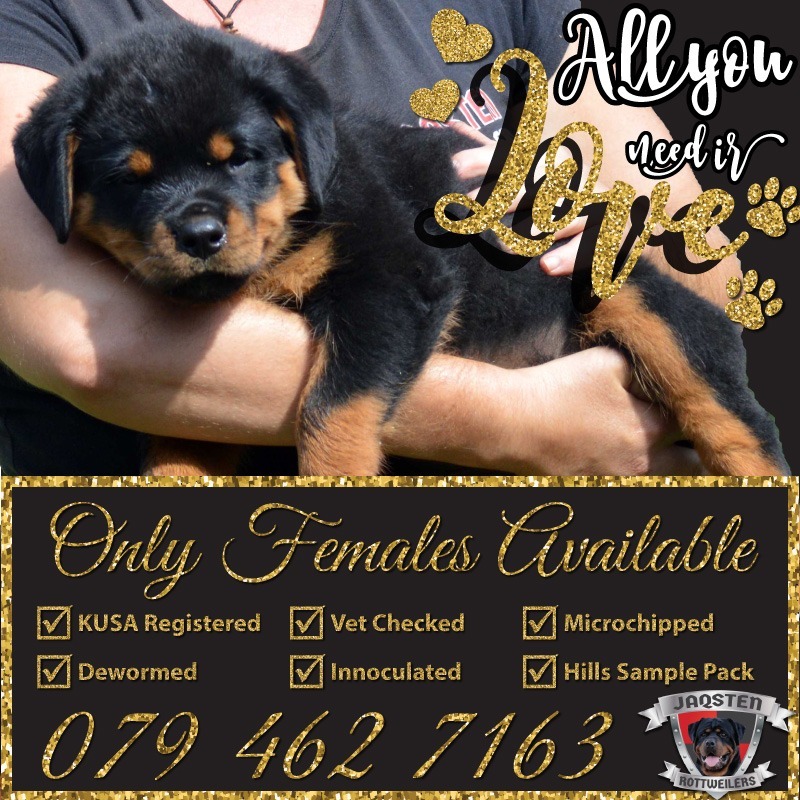 Pups are KUSA Registered, micro-chipped, dewormed, inoculated and come with Hills starter pack. R6000 each (excluding Transportation and Export). Parents – KUSA Pedigree, Breed Assessment and Hip/Elbow grading will be shown and verified with microchip scanner on viewing of pups.